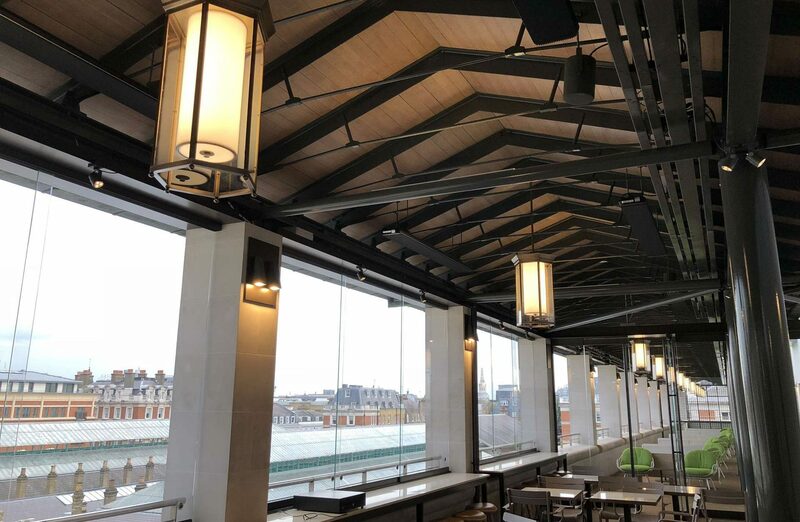 As part of a major transformation of the Royal Opera House by architects Stanton Williams, Dernier & Hamlyn recently manufactured 22 bespoke lanterns for the restaurant’s terrace within this iconic building in the heart of London’s Covent Garden. 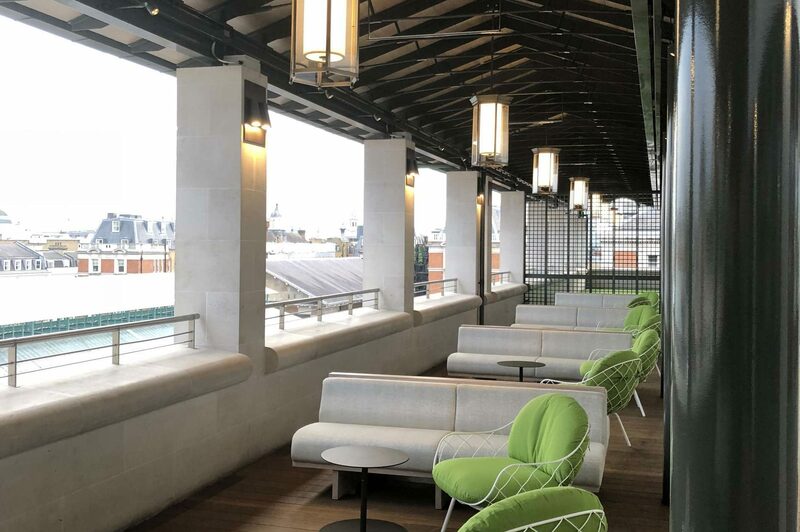 Dernier & Hamlyn was selected for this important role for the Royal Opera House’s Open Up initiative by lighting designers Studio Fractal to help create the bespoke lantern with due respect to heritage, a tight budget and challenging programme. Studio Fractal’s aim was to pay respect to the building’s history with a bespoke design that had to appear to be a refurbished original, linking period glamour and style with the contemporary feel of the new restaurant. The lanterns were also important elements for the new exterior lighting scheme and needed to blend with the exterior architecture and the strictly controlled lighting colour appearance. The solid brass lanterns made in Dernier & Hamlyn’s London factory were designed to appear to be refurbished originals and were fitted with the latest LED lighting technology housed within custom made opalescent internal diffusers. Their specialist team initially made a production quality sample to demonstrate the lighting effect and to showcase the high quality craftsmanship.